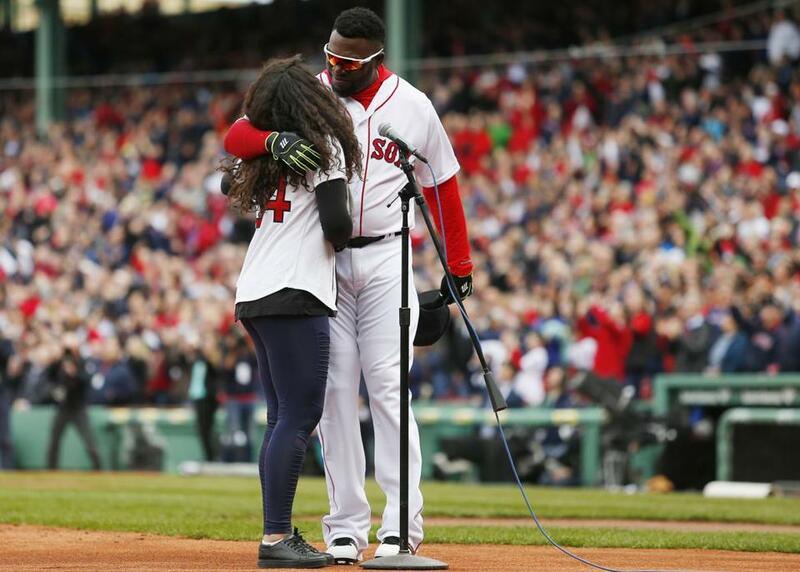 David Ortiz hugged his daughter, Alex, after she sang the national anthem before the start of the Red Sox home opener. A proud David Ortiz appeared to tear up as his 15-year-old daughter sang the national anthem at the Red Sox home opener at Fenway Park on Monday. Alex Ortiz, 15, surprised her father by singing the anthem after the team took the field during pregame ceremonies. As she wrapped up, Ortiz walked over to embrace his daughter and appeared to wipe tears from his face as he returned to his place in the Red Sox lineup. Ortiz, a star designated hitter who will retire at the end of the season, was honored as part of Opening Day ceremonies. After the anthem, several Boston sports legends took the field to throw out the opening pitch. 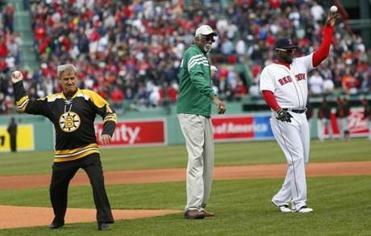 Ty Law representing the Patriots, Bobby Orr representing the Bruins, Bill Russell representing the Celtics, and Ortiz each threw a pitch over the mound Monday.